At a speaking engagement this weekend somebody asked me whether I believe Abraham Lincoln was born in North Carolina. I don’t. The story is that Lincoln’s biological father was a North Carolinian named Abraham Enloe (or Enlow, depending on who’s doing the telling). After Enloe fathered a child with Nancy Hanks, he passed her and the kid off to Thomas Lincoln, who was supposedly in the Tar Heel State at the time. We can document Thomas Lincoln’s whereabouts for the period in question (as for much of his life), and he wasn’t in North Carolina. As far as anyone can tell, he never set foot in the state during his entire life. As for the Nancy Hanks who married Thomas Lincoln, we have no evidence placing her in North Carolina at the time that Abraham Enloe supposedly impregnated her, but we do have evidence that places her in Kentucky shortly thereafter. If you’re going to conceive a child with someone, it helps to be in the same state. One bit of evidence often cited in favor of the Enloe theory is Lincoln’s physical resemblance to members of the family. Unfortunately, this argument also applies to Thomas Lincoln, who of course has the benefit of the documentary record on his side. Other problems include the information we have on Lincoln’s older sister, the year in which Lincoln left home to strike out on his own, and documentary evidence written by Lincoln himself. This essay by Lincoln researcher Ed Steers covers the discrepancies clearly and concisely. I think the Enloe theory has a lot more to do with wishful thinking than it does with scholarship. If I were you, I’d skip that family vacation to the Bostic Lincoln Center and drive on up to Hodgenville, instead. I ran across an interesting story via The Posterity Project. 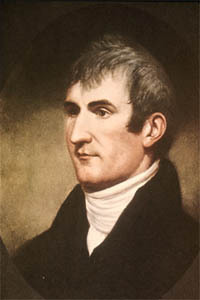 Relatives of Meriwether Lewis are trying to persuade the federal government to allow them to exhume his remains, so they can settle the mystery of whether foul play was involved in his supposed suicide. Here’s the website they’ve set up. So far, the Park Service has blocked it, and I’m inclined to think that’s the sensible thing to do. I beg to differ. Historians have resisted an exhumation because the murder theory is pretty underwhelming. I’m no Lewis expert, but from what I’ve read, there’s no compelling reason to doubt the accepted explanation that Lewis killed himself. Something tells me this has more to do with our attitudes about depression and suicide than it does with history. We’re eager to applaud someone like Lincoln who could overcome his inner demons, but we just can’t handle it when a remarkable man finally succumbs to them. Before we start digging up our heroes, we should accept that when they fell into the emotional abyss, it wasn’t a sign of weakness—and it didn’t make them any less heroic. Just after the American Revolution, Shawnee Indians raiding along the Virginia frontier kidnapped a young girl named Mary Moore. Mary spent five years in captivity before ending up back home, where she grew up, married, and had children. As an adult she had persistent trouble sleeping, perhaps because of what she had endured as a child. Eventually she had to be rocked to sleep in a specially made, adult-sized baby’s cradle. I encountered the story of Mary Moore in Bound Away: Virginia and the Westward Movement, an excellent book by David Hackett Fischer and James C. Kelly. I thought it was interesting when I read it, but didn’t really think about it again until just a few weeks ago when I was in Lexington, Virginia. Just a short distance from Stonewall Jackson’s home is the headquarters of the Rockbridge Historical Society. My traveling companion and I had some extra time and stepped inside. Imagine my surprise when I walked through the door and saw the very cradle mentioned in Fischer and Kelly’s book, the one in which the former captive Mary Moore had to be rocked to sleep every night. The next day, we headed over to the Housewright Museum, a Jeffersonian home and exhibit/research facility operated by Historic Buckingham, Inc. There were more surprises waiting here. In one of the rooms were some artifacts associated with one of Buckingham County’s most famous residents: Revolutionary War hero Peter Francisco. Francisco’s origins, like so much of his life, are a mystery. In 1765 he was found at City Point, Virginia as a small child. He and his sister were kidnapped and brought to America for reasons that aren’t clear; since he spoke Portuguese, he was probably born in Brazil or the Azores. He grew into an impressive man, well over six feet tall. In 1777 he joined the militia and went on to serve in some of the Revolutionary War’s most important engagements: Brandywine, Monmouth, Cowpens, Camden, and Guilford Courthouse. Francisco became legendary for stories of his superhuman wartime feats, but there seems to be considerable exaggeration in the versions that have come down to us. According to one tale, at Camden, as the Americans retreated in panic, he supposedly pulled a half-ton cannon off the battlefield. Some accounts report that at Guilford he personally killed as many as eleven men, although Francisco’s own petition to the Virginia Assembly states that he killed two. One thing we do know is that Francisco stayed in Buckingham County after the war, becoming sergeant-at-arms of the Virginia Senate before dying in 1831. Some of the stories may be exaggerated, but they were enough to make him one of the Revolutionary War’s most celebrated veterans. His story and Mary Moore’s are just two examples of the fantastic stuff you can find in smaller local museums and historical societies all over the country. I’ve always had a soft spot for Andrew Jackson. Sure, he was about as politically incorrect as you can get: a slaveowner, a great foe of the Indians, and a guy with a notoriously bad temper. But he also had an unwavering faith in and devotion to the common man and to democracy. It’s fitting that an era is named for him, because he embodies all the qualities of early nineteenth-century America, good and bad. In any case, I’m pretty certain that if he could read many of today’s negative assessments of him, he’d dismiss them with a burst of indignant contempt and a flurry of profanity. I live just a few hours from the Hermitage, his longtime home, and I’ve been in the neighborhood countless times. Yet, for various reasons, I’d never been able to see it for myself. Going to Nashville and seeing the directional signs was, for me, like going to your favorite bookstore and seeing that particular title that you’ve always wanted to read but have just never found the time. This past weekend I finally made a trip to Nashville specifically to tour the site. It was well worth the wait. The biggest surprise to me about the Hermitage was its size. I’m not talking about the house itself, which was actually smaller than I’d expected. I’m talking about the extent of the entire site. This isn’t a historic house museum—it’s an entire plantation that’s been preserved and now interpreted. It’s an incredibly expansive site that’s rich in content, and it takes a lot of time to fully appreciate it. The place to begin is at the visitor center, where a theater offers a short film with an overview of key events in Jackson’s life. The emphasis in the film is on Jackson as a public figure. You’ll hear about his political and military offices, and some of the important issues he faced in the White House. There’s a considerable amount of attention paid to his opinions about slavery and Indians, too, and the film doesn’t shy away from the negative aspects of this side of Jackson. In fact, what really surprised me about the movie is the extent to which it emphasizes some of these negative aspects. What’s missing from the film is a sense of Jackson the private man, but it does provide a good introduction to his role in American history for those who are unfamiliar with it. The visitor center also contains exhibits on the history of the plantation and its inhabitants, featuring personal items owned by Jackson and members of his family as well as artifacts recovered from archaeological excavations. In the exhibit galleries, as throughout the tour, the emphasis is on the plantation as a whole rather than specifically on Jackson and his family. Some of the most interesting items on display are tiny pieces of jewelry recovered from the slave areas, which are carved in recognizably African motifs. To interpret the grounds, the Hermitage employs a personal audio tour. Visitors are issued devices with headphones and a keypad. Numbered signs are in place throughout the grounds at various important points (the kitchen, the springhouse, the slave cabins, Jackson’s tomb, etc.). When you arrive at one of these points, you can enter the number into the device using the keypad, and you get a brief narration about it along with comments from curators, archaeologists, gardeners, and other on-site experts. Combined with a printed walking guide and the usual signage with text and images, the audio tour is wonderfully effective. I particularly appreciated the brief excerpts from interviews with the staff, which was much more engaging than an impersonal exhibit label. The audio, signage, and printed guides all combine to give you a layered interpretive experience, so that you can get as much or as little detail about particular areas as you like, in whatever manner suits you best. There’s also a separate audio tour designed specifically for kids. Of course, the main highlight on the tour is Jackson’s actual house. The rooms are furnished with beautiful period pieces and artwork, many of them once owned by Jackson himself. My only complaint about the house tour is its brevity. Costumed guides usher groups through the mansion at quite a brisk pace, so if you want in-depth information about the rooms or furnishings, the thing to do is ask questions. You’re in and back out before you know it. The grounds are so extensive, though, that there’s quite a bit to see outside the house: Jackson’s tomb, slave cabins, the springhouse, the gardens, etc. I was there for nearly four hours, and I still didn’t see everything before closing time. Again, the interpretation here covers the entire scope of life at the plantation, so you’ll learn quite a bit about the slaves, farming techniques, and all the other things that went into managing the place. In fact, amid all the information you’ll get about the site’s history, its workings, and its multitude of inhabitants, you don’t hear much at all about the inner life of the man responsible for it. At most historic house sites of this kind, the spotlight is on the notable figure who lived there; the servants and other inhabitants usually remain faceless. You hear about them, but they hover in the background. At the Hermitage it’s Jackson who waits in the wings. That surprised me, because Jackson’s personality and character are such fascinating subjects. I kept wondering how much of the site had his personal stamp on it, and what role he had to play in the artifical community that he built. Few men have left such a decisive mark on American history. Indeed, he gave his name to an entire period. Of course, for some time now, historians have been trying to correct the oversights of past scholars by focusing away from the great and powerful and more on the marginalized. It seems to me that the interpretation at the Hermitage might be an over-correction. Still, it’s an incredibly impressive historic site, managed and interpreted with the highest possible degree of professionalism. It’s clear that exhaustive research has gone into the restoration and programming, and the communication between the site and visitors is handled with extraordinary deftness. It’s a stellar example of historic house museum management. As you can see from this closer view, the contested area is just a short distance away from Ellwood (Gouverner K. Warren’s headquarters during the Battle of the Wilderness) and the Lacy cemetery (famous as the spot where Stonewall’s amputated arm was buried after his wounding at the Battle Chancellorsville). I was just looking over all the developments marked in the surrounding area, and holy cow—that’s one suffocated battlefield. I’d like somebody to explain to me how all that happened to one of the most critically important pieces of ground in American history. Historical connections pop up in weird places. The other night I indulged in a repeat viewing of The Duchess, an eighteenth-century romantic biopic about Georgiana Cavendish, Duchess of Devonshire. I made a point of seeing The Duchess when it hit theaters last year, for three reasons. First, it’s based on Amanda Foreman’s bestselling biography of Georgiana. This is one of those books I keep intending to read but somehow don’t get around to. I figured seeing the movie would make me feel a little less guilty about it. Second, I could think of far less pleasant ways to spend my time than watching Keira Knightley prance around for a couple of hours. Tarleton was a no-show in The Duchess. 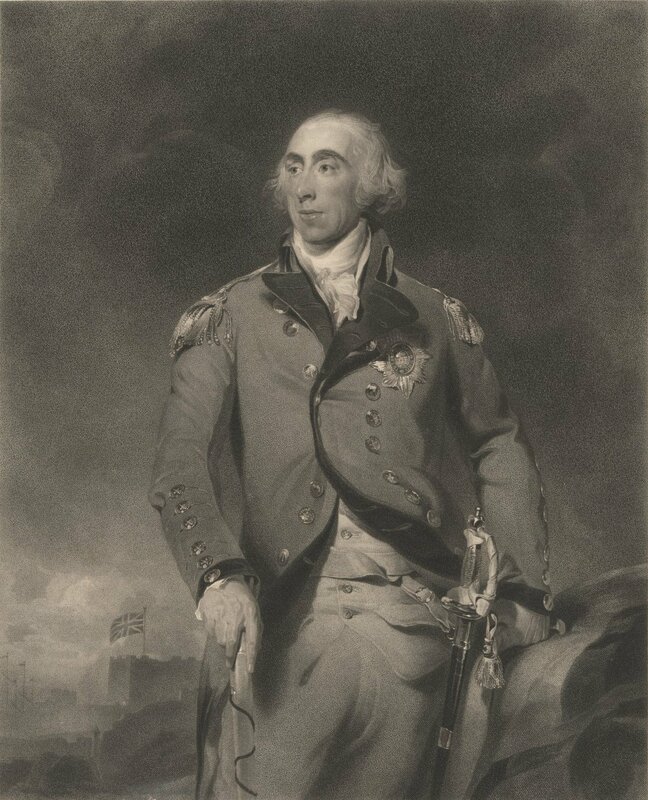 But, to my surprise, another British veteran of the War for American Independence did put in an appearance: Major General Charles Grey. To American history aficionados, he’s more popularly known as “No-flint Grey,” due to his controversial victory over Anthony Wayne at Paoli, PA on September 20, 1777. 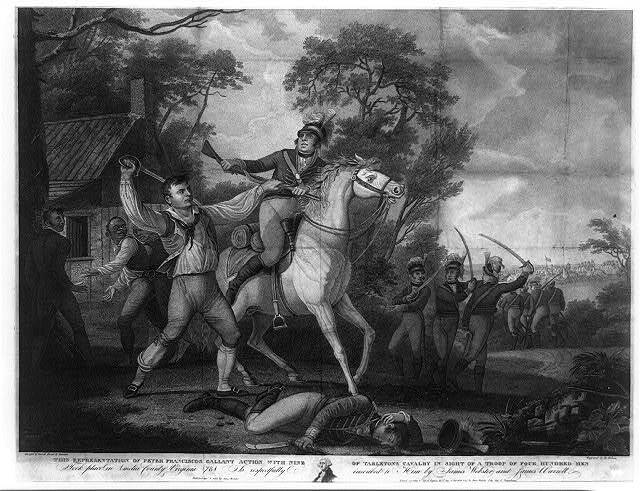 The “Paoli Massacre,” like Tarleton’s victory at Waxhaws, is one of those controversial engagements that made for great American propaganda during the war. Before leading his men on a surprise night attack against Wayne’s Continentals, Grey had the flints removed from their muskets to prevent them from firing their weapons and accidentally alerting the Americans. The British stormed the camp and laid into Wayne’s men with their bayonets and swords, killing 53 of them and wounding or capturing somewhere around 200. Grey’s use of stealth and steel proved successful, but Americans accused him of perpetrating a cold-blooded massacre. The “No-flint” moniker stuck, and “Remember Paoli” became an American motto. In fact, the nation’s second oldest Rev War monument was erected on the site in 1817, and another was added sixty years later. Today it’s one of the most well-preserved Revolutionary War sites in the country. So what in the world is “No-flint” Grey doing in a period romance film? Much of the movie focuses on Georgiana’s affair with Grey’s son and namesake, a prominent member of the Whig party and future prime minister. When the two finally had a daughter together Georgiana had to turn the baby over to Grey’s parents to be raised. In the movie, when she and a friend take a carriage ride out to a desolate spot to turn over the infant, “No-flint” Grey is the guy who shows up. You wouldn’t expect a movie like this to have anything to do with military history, but there it is. And if that’s not enough, the actor playing Grey has “Shrapnel” for a last name. Coincidence? Regular readers of this blog (God bless ’em) know that for the past few months I’ve been in the habit of posting brief reviews of the museums and historic sites I visit. I debated long and hard whether to take a crack at Lee Chapel & Museum, located on the campus of Washington and Lee University in Lexington, VA. It was one of my favorite stops from my recent Virginia trip, but it’s also as much a shrine as a place of historical interpretation. These reviews are meant to be assessments of how well museums and historic sites present themselves and educate their visitors, based on the time I spent working in the public history business. This approach just didn’t seem appropriate for a sacred space. However, since W&L has constructed a kind of interpretive center in the chapel’s lower level, I’ve decided that it’s a legitimate subject for a review, so here goes. This particular site owes its existence to the two figures who cast longer shadows across Virginia’s history than anyone. On the one hand, you’ve got George Washington, whose donation to the college led to its being re-named in his honor. On the other hand, you’ve got Washington’s relative-by-marriage Robert E. Lee, who became the school’s president after the Civil War. It was Lee who directed the building of the chapel (1867-68) that bears his name, and who now lies in a vault below the sanctuary level. By any measure, visiting the sanctuary itself is an incredibly impressive experience. On the outisde, it’s a beautifully constructed nineteenth-century brick church; on the inside is an auditorium with a seating capacity of 500, which is still in use by W&L. Two portraits, one on each side, flank the front of the sanctuary. On the right is a painting of Lee in uniform, similar to some of the famous photographs taken of him during the war. On the left is an absolute gem, the oldest portrait of Washington, painted by Charles Wilson Peale in 1772, which depicts him wearing his colonel’s uniform from the French and Indian War. I had no idea the original was at Lee Chapel until I walked in the door, and seeing it was an experience that was hard to beat. The sanctuary’s other highlight, though, comes pretty darn close. When Lee died in 1870, he was buried underneath the auditorium, until the addition of a new section to the building in 1883. Under the sanctuary, the addition contains the Lee family crypt. Upstairs, it houses Edward Valentine’s magnificent recumbent sculpture of Lee, which rivals any monument or work of art I’ve ever seen in my life. It’s an incredibly lifelike work of art, practically life-size, with a uniformed Lee lying in repose underneath a folded drape that looks far too natural to be made of stone. (Here’s a photo that gives you the general idea, although it doesn’t do it justice.) The one-two punch of this amazing sculpture and Peale’s famous Washington portrait in the same space is quite a thing to experience, and I don’t think I can convey the impression it makes on you if you’re a history enthusiast. You just walk into the door and they’re right there. Since the chapel area is meant to be more of a shrine than a museum, the interpretation upstairs is pretty discreet, as it should be. There are a couple of interpretive panels near the sculpture with background information on Lee’s funeral and the construction of the addition. During visiting hours a guide is on hand to talk about the chapel’s history and answer questions. Most of the interpretation takes place in the “museum” of Lee Chapel and Museum, which is downstairs from the sanctuary. In 2007 the college installed a beautiful new exhibit, “Not Unmindful of the Future:” Educating to Build and Rebuild a Nation. Although it’s a relatively small display, you should plan on spending some time here. There’s a lot of fantastic material to see. The exhibit tells the story of the school’s founding, with an emphasis on Washington’s role and the inclusion of some of his personal items. There’s a fine assemblage of Lee material here, too, including not only personal belongings from his years at the college, but also artifacts from his life before and during the Civil War. The exhibit also explores W&L’s evolution within the context of the history of American higher education (Lee, for instance, helped launch the inclusion of professional and practical programs of study in U.S. colleges) and the role the school’s students and alumni played in the Civil War. It’s a lot of history for one building, and well worth a drive to Lexington. The collection and interpretation in the museum at Lee Chapel are both first-rate, and the sanctuary itself is not to be missed.